I am not ashamed of the fact that I have read all of the books countless times. In fact, I have been reading them since they first came out in 1997. 1997 was a big year for me, as far as books went. The books I read in that year impacted me heavily as a writer. Where The Red Fern Grows by Wilson Rawls was the first book to make me cry. Bobcat by Virginia F. Voight was the first book I read that made me realize words could be manipulated and made beautiful The second line in that book is ‘The sky was the color of a bluejay’s wing.’ I was captivated. Number the Stars by Lois Lowry taught me the meaning of suspense. Bridge to Terebithea by Katherine Paterson was read to my class. We cried together, and I learned that stories create bonds. When I read Harry Potter and the Sorcerer’s Stone, I discovered that you could disappear inside books, that stories could have deep meanings, and that people can be changed by what they read. Over the next 10 years, as the Harry Potter series was slowly completed, I remained just as enchanted with the books. In a way, I feel that I grew up with Harry. He was exploring life at a similar age to me as the books were coming out. The stories were pure and adventurous. Even as many times as I’ve read the books, the story still brings me back to my childhood, to when I learned why I loved books, why I needed to write, and what I wanted to do with my talents. S is not a reader. He likes knowing stuff, he’s just not into reading as much as I am. It’s okay, though, because he still likes hanging out in bookstores, and I tend to camp out when I go to one. S has never read the Harry Potter series. I warned him that this could not continue. Consequently, we are reading the books together now. 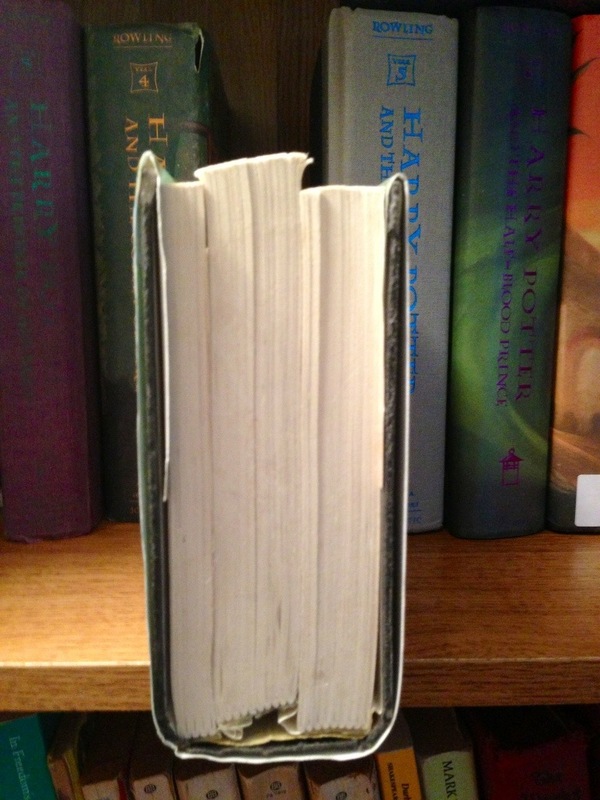 Currently, we are a little over half-way through the third book (Harry Potter and the Prisoner of Azkaban). To my delight, he is enjoying them more than I thought he would (or else he’s putting up a good front, which I deeply appreciate). I have a fabulous Harry Potter announcement! For those who haven’t heard, they are coming out with a new movie! It takes place in the magical world of Harry Potter, but it’s not about Harry. In fact, the story takes place 70 years before Harry’s. 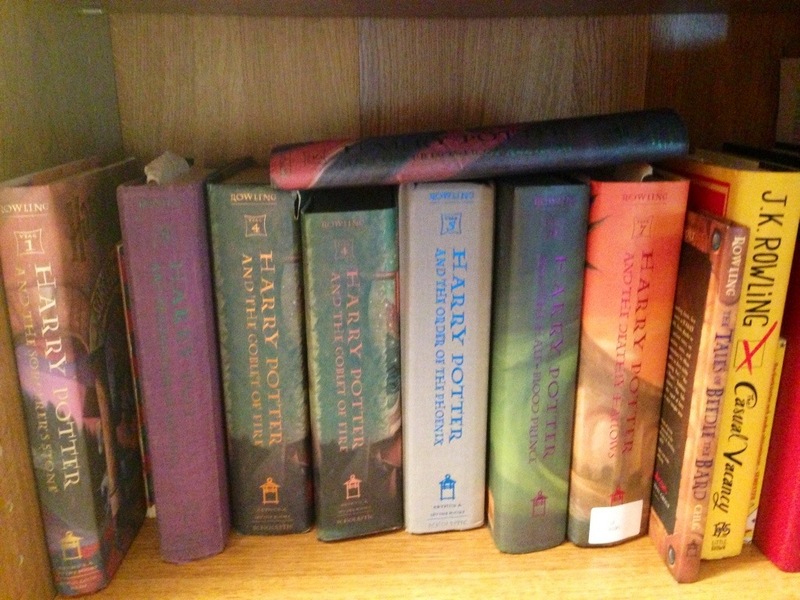 As you can see from my collection, I have 2 copies of the fourth book, Harry Potter and the Goblet of Fire. Not too long ago, S and I were shopping for his school books, and we happened across a hardback version in much better condition than mine. Lucky, spoiled me, S bought it for it me. of someday buying the entire hardback set in London. I didn’t realize you were such a fan of the Boy Who Lived. 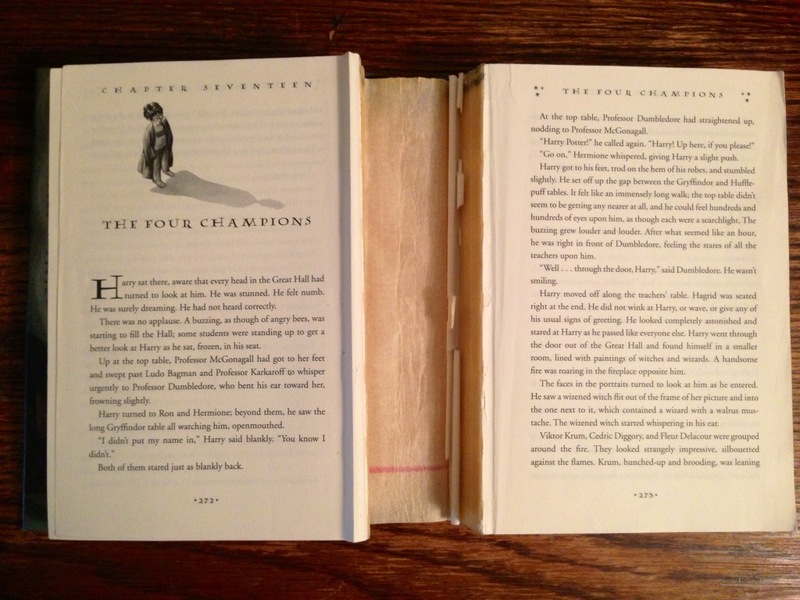 I have an Australian copy of the sixth book that I swapped an American edition for while in Oz, and an English edition of the seventh book, which Sa. brought me from England when he was there for the World Scout Jamboree. 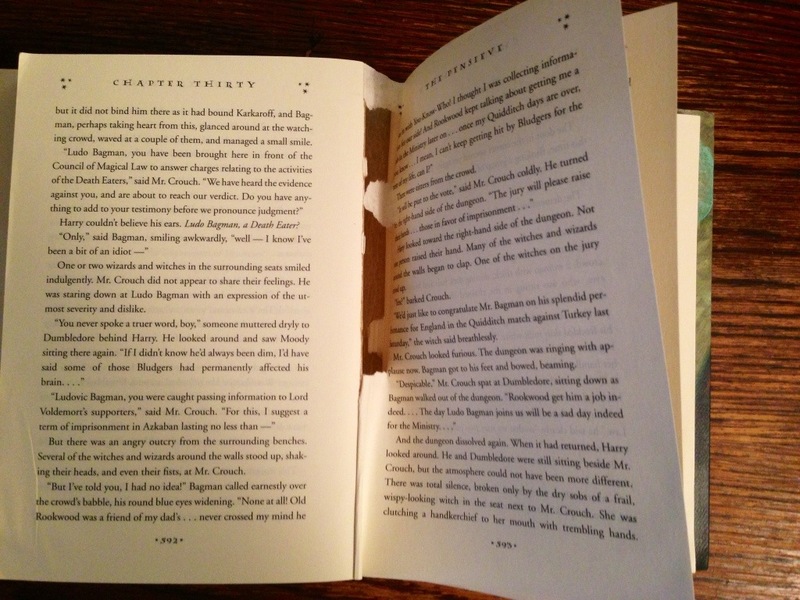 Ms. Rowling has a tremendous mastery of language and created such detailed and compelling characters, but I think her main strength in the series is how she revealed each story bit by bit, teasing the reader by slowly and carefully revealing this richly imagined magical world, so that even after finishing an 800 page book, you found yourself wanting more. That is a rare gift, and I’m glad she had the opportunity to share it with the world (she also got filthy rich in the process, but hey, make hay while the sun shines).